The following charts show how many miles you can usually communicate over normal terrain in suburban or rural areas with different types of radios, power levels, antennas, and station configurations. The graphs compare the most commonly available 2-way radios such as ham, CB, FRS, MURS, and GMRS. Some radio gear advertisements tout the maximum possible distance in perfect conditions, an often misleading specification that only technicians can achieve if they are both on mountain peaks or going through repeaters. Symbols show average probability of communication. Red solid arrows with blue mileage indicates a 90% high probability of communicating at this distance. Dashed line with a red arrow shows 75% probability of dependable communication. A yellow dashed line shows 25% or less probability of communicating for this distance. The above graph shows the distance range comparison between two base stations using a basic antenna mounted on the roof of a suburban house with a height of about 20ft above ground level. Communication distance can be greatly improved over this by advanced gain antenna systems or a high pole or a tower. This estimate is based upon radio-to-radio direct communications without the use of a repeater. The above graph shows the distance range between a mobile vehicle with a basic vehicle antenna, communicating with a base station using a basic antenna mounted on the roof of a suburban house. Communication distance can be greatly improved over this by advanced gain antenna systems or a high pole or a tower at the base station. The distance can be adversely affected by interference from the vehicle engine; further distance can be achieved by parking on a hilltop or open area and shutting off the vehicle. This estimate is based upon radio-to-radio direct communications without the use of a repeater. The above graph shows the distance range between two mobile vehicles with basic vehicle whip antennas. Communication distance can be somewhat improved (25%to 50% further) over this on VHF and UHF by the use of a gain antenna. The distance can be adversely affected by interference from the vehicle engine; further distance can be achieved by parking on a hilltop or open area and shutting off the vehicle. This estimate is a review based upon radio-to-radio direct communications without the use of a repeater. The above graph shows the distance range between a pedestrian with a whip antenna and a mobile vehicle with a basic vehicle whip antenna. HF backpack radios , HF packs, CB backpack radios , or manpack radios are compared with Handy Talkies, Walkie Talkie, or HT radios. Communication distance can be somewhat improved (25%to 50% further) over this on VHF and UHF by the use of a gain antenna on the vehicle. Distance on VHF will be somewhat less if a small rubber ducky antenna is used on the pedestrian radio instead of a full size antenna. The use of a counterpoise radial wire on the pedestrian radio improves distance. This estimate is based upon radio-to-radio direct communications without the use of a repeater. The above graph shows the distance range between two pedestrian radios with whip antennas. Improved distance can be achieved by standing in an open area or on a hilltop. HF backpack radios, HF packs , CB backpack radios , or manpack radios are compared with Handy Talkies, Walkie Talkie, or HT radios. Distance on VHF will be somewhat less if a small rubber ducky antenna is used instead of a full size antenna. The use of a counterpoise radial wire on the pedestrian radio improves distance. This estimate is based upon radio-to-radio direct communications without the use of a repeater. This entry was posted in Survivalist Prepper Communications and tagged Baofeng, cb, cert, compare, comparison, disaster, distance, FRS, GMRS, graph, HAM, hf, Icom, Kenwood, motorola, MURS, preparedness, Prepper, Radio, range, review, SHTF, ssb, Survivalist, UHF, VHF, Yaesu. Bookmark the permalink. Greetings. I am currently reading your website… I love it, but I have an issue I would like to share. On the page describing “Freeband” and CB radio, you describe the difference in using USB as opposed to LSB modes. Your description is quite false. USB is no “quieter” than LSB. In fact, both are the same (SSB, for Single Sideband), just having a different “half” of the signal being filtered out. The main reason for using USB is that USB is the commonly accepted mode (not carved in stone) used by virtually ALL world HF radio services… LSB is used on frequencies below 30 Meters (10 MHz) and USB is used above… These are generally accepted practices, and you may find many exceptions to it. I bring this up, because in order for this to be truly educational information, it must be true. If you want your readers to understand things correctly, they need to be provided with accurate information. Thanx for the cool page, though. I have many friends asking for info like this. I’ve been playing with the idea of doing a “survival radio” facebook page, but never have the time to figure out just how to do that. It might be simply a differences in semantics, although I have to agree that to people new to RF physics, could get the wrong idea, simply because of the way its explained. I find it somewhat troubling that the distance charts dont take into consideration the environmental variables. At the same time, those same people who are new to RF Physics, will probably not understand all the variables anyway. So the website tries to give some generalisations to get people started. Finally, its an impossible goal to put all this information in one place anyway. The best one can do is put up as much general info as possible to get people thinking about it, then give them more details as their own skills progress. And that is very true — and why the comparison at this time falls a bit short of truly comparing radios bands, modes and services. All known modes, identical antenna types and heights, scaled to their wavelength, and similar Rf levels are vital parameters for true comparisons, And although the article above DOES clearly illustrate present PEACEtime comparisons, it should think out of the box, because there may not be a box. Currently-mandated operational limitations such as RF output power level, mode bandwidth, time of day/season and other variables are artificially imposed by governments and man. They should be thrown out completely for the purposes of this investigation. It is not accurate, and can never be, until some brave patriot who has all that different gear uses it in ways that break current mandates. YES, I am advocating breaking existing law in the interest of acquiring this vital data, and would be happy to conduct further testing, if only I had green for the gear. — UNcle Charles can kiss my A–!!! Again, with all tests done in a similar mode,similar power, and wavelength-scaled antenna configurations,while totally disregarding the FCC and any normal “band agreements” imposed by any other man-made organizations, we’ll have a well-organized grubby comm net. The FCC, the ARRL et al should be totally ignored ONLY for the purposes of this study. Because those organizations may very well be non-viable in grubby times. Keep the test parameters the same in order to get a very accurate comparison, which for example, may end up being a VHF terminal node controller running at 24Kbaud that is hooked into an HF radio that is running in LSB mode on 29MHz… It might far surpass anything recognizable today. NONE of those were meant to be linked at the source as it stands now, with all the governing bodies dictating what can/cannot be used, but who knows? It may be way better for whatever form of data communications needed for a certain application at a certain time of day when the rubber meets the road.. I know I’m not making myself clear. I’m lousy at expressing my thoughts… I AM trying tho. Technically, all of the non-amateur communications on MF and HF voice is USB. Many of the non-ham radios will not do LSB. Most now will allow for LSB as it is easier to do, adds no cost. It is only in the ham world where it is LSB 40m and below, now also excepting the 60 meter channels where it is USB. One other thing to remember is the non-ham radios are strictly channelized. On CB/Freeband I have noted that LSB seems to be a bit more common. For some reason the primary use I have seen on SSB CB has always been LSB first. And a very odd thing I notice here in Texas is the USB users seems to be speaking Spanish. These aren’t local, probably central/South America. So if anybody decides to buy, say, a Micom-S radio, it can be USB only. The “Oddball HF Radio” nets have several meeting frequencies on 40/75 that are USB to take this into account. Nice website, guys, good info. 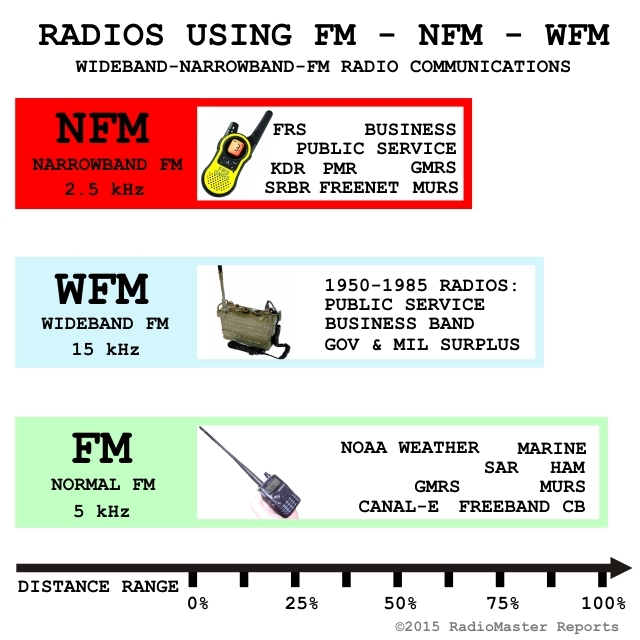 The freeband SSB operating situation is quite different from your experience with ham radio. The information posted about SSB on RadioMaster Reports is accurate. There are differences in statistical operating trends between USB and LSB, resulting in various interference and channel occupancy patterns. Also, the offset frequencies of the various gaps between channels is different. I think a comparison using identical modes, RF power levels and resonant antennas of the same design (IE; A 3-el yagi), identical antenna height, ground topography, would yield a more realistic result. In grubby times, the last concern would be FCC-imposed power limits, modes, or “license” class. once the stuff hits the fan , you need not worry about FCC or laws, its on you to communicate in any way possible , so do what you have to do to be safe and informed. Dave, not sure exactly what your overall point is, but I’ll say this. As a HAM, I can tell you that there are a lot of licensed folks on the air that are not reliable – it;s like any other hobby, there are good and not so good members. If you forgoe a HAM license and only use radio in an emergency, you are doomed to fall prey to these characters and they are not always intentionally deceptive. Having a license and interacting with a regular group of HAMs, you’ll know in an emergency which information is reliable and which is not, mostly because you’ll know who to trust. 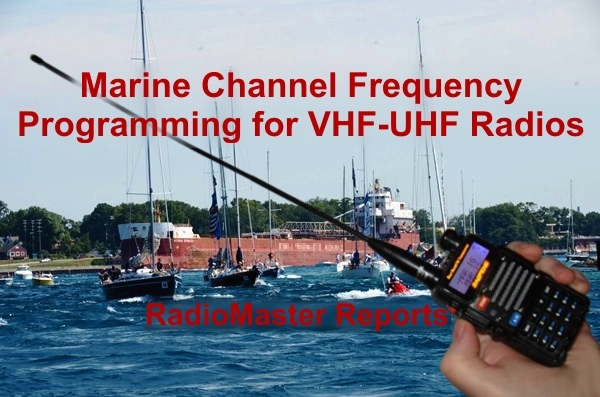 At the very least, I enourage you to at least monitor the HF and VHF frequencies, so you will know ahread of time who the reliable folks are. Having issued a distress call @ 470 Miles on 1/12th of one watt with a HF RT unamplified through a Doublet Antenna in a RTTY Rig during Desert Storm, my observation is that the cut and orientation of the directional Antenna is the most critical factor for long distance communication. Skip varies throughout the day but Antenna Configuration is either right or wrong. Correctly Cut and oriented Correctly, your signal will tag your target at some time during this day. Perseverance is key but Luck is acceptable. Ok people… to save all the arguing… the facts are here for Australia. Now should the sheet hit the fan and there is a major national incident, the frequency which will send Emergency communications is the 27Mhz band on AM, USB and LSB at the same time. What is meant is we will communicate the same information on channel 9 AM, 19 USB and 19 LSB which will be done at the same time so as no matter which you are tuned to either AM or SSB, you will receive information on one. The AM will be used for close coms… and the SSB both upper and lower can be used for long distances communications. It is also become to our attention that the AM SSB is becoming more popular in the 4WD communities and truck Transport users . UHF can also be used for coms although the chosen medium for transmissions during National Emergencies is the 27Mhz AM/SSB radio. Have you ever heard of a HAM radio being used as a microwave type weapon (and if so, what would be its reach in miles). Transmitting 1 kilowatt of ERP RF power with a 10ft dish antenna in the 2.4 GHz (13 cm microwave) ham band, you wouldn’t want to be within 20ft of the antenna. You would get an awful sunburn or worse. So, to answer your question, 20ft away, is about 0.004 mile (1/250th of a mile). ‘Zackly. Nobody, especially a ham who would know the effects (as he passed the exam with the RF safety block in it) in his right mind would attempt that. But if are asking the question in general terms, “have there been sicko morons who have used microwave transmitters as weapons, the answer is yes. They do sick things like putting cats in microwave ovens (which are, in fact, high-power transmitters). Sad, but true. Thanks for this… important modes of communications. It is a fair comparison, just because law enforcement goes down, it will not turn your 1 watt transmitter into a 100 w transmitter. It about the effective range of how they are made, not what it could be with modified power output. True knowing the range with all transmitting at only 1 watt would be nice. It seems you all are thinking that the only communications you would want to do are long range. Sometimes it better if the whole world doesn’t know what you are saying. Communication is what it is, be it face-to-face,tin cans on a string, or satellite overseas. The apparatus may not change at all, unless the “grubby times scenario” is an EMP event, rendering some modes, methods and equipment useless. And this is regardless of a device’s output and intended capabilities/usage. The original post here is very well laid-out. And it does a near perfect job of bringing the topic to a higher plane of consideration, and addresses some of the “band plan” ideas and preparations in the event of said grubby times… IE; “if it hits the fan, here’s the plan”.. or, “let’s meet here” is also addressed. However, the POSSIBILITIES of effective communications WILL change to be functional… as-needed/ when needed. The surviving equipment we have available hopefully has NOT changed, but the way they are used will (A 1W walkie talkie is not going to become a 100W repeater, but it might just be installed to excite a repeater in times of need). 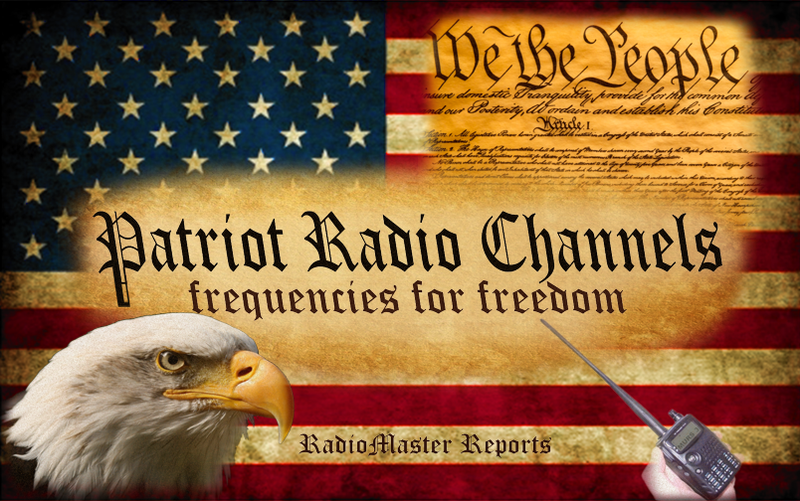 The non-hardware changes will come in our OBSERVANCES of laws, “band plans”, established modes used in what part of the RF spectrum,, FCC restrictions and licensing, along with efforts and reasons for tracking down “violators” by whatever governing entity attempting to control “society”.. In grubby times, the “fairness”, or “legalities” of any comparisons could possibly be totally altered, rendered obsolete — perhaps beyond our concept of morality, or reality as we know it now, EVERYTHING is subject to change due to intent and urgency levels. within the entire radio spectrum, and the equipment we we try to use there. IE; Although an ICOM IC7000 was not built. nor is it “legal” to use on 11Meters — yet thousands of CB’ers and licensed hams, DO use them there, in spite of the laws on the books. One might want to expect that in times of need, ANY band, ANY equipment, or ANY mode to communicate can be expected. the FCC itself, in a part-97 amendment (FCC 10-124) attempts to CHANGE it’s own set of rules in the event of threats to health, safety and welfare. It shouldn’t even need to be addressed in such a formal format, but you know how litigious civilized societies are — and then, what defines “civilized” in grubby times is subject to change without notice too, isn’t it? Do you know how to make a radio ripped away from a police car’s dashboard serve as a repeater exciter? If so, give yourself a pat on the back. Because even though it sounds ludicrous and absurd now, that skill could save a town. I have a Uniden Grant, can I use a HF linear or must I stay with 11 meter ? Lots of big holes in the article, but it is a complex topic. My suggestion would be to get a ham license. Ham radios are available that cover nearly every band and that means reliable short range or long range communications. Setting up radio stations at your base location is a no-brainer. Also radio stations in each vehicle are a huge help to stay in touch with other mobiles or your base station. You will also need to learn a bit about antennas. The short range ones are cheap and durable. Longer range antennas, can be used on many bands with an antenna tuner. The propagation characteristics of each band vary with frequency, and time of day. Basically, the lowest bands are the most reliable, and have the highest noise floor. Moving up in frequency is a good way to go, to find the highest usable frequency for long range. This will vary with solar activity and day or night time use. When the band are “Open” you can talk at great distanes with perfect clarity. Night time, bands go longer distance as the F layers which reflect the radio signals merge higher up. Short range radios–cheap reliable, easy to set up. Probably a lot more useful, and good for groups to stay in touch. Ham rigs are more powerful also, typically 100 watts or more, and have cleaner sound when using FM, and can be used to send digital messages, which many listeners would not be able to decipher–particularly useful on long range coms. 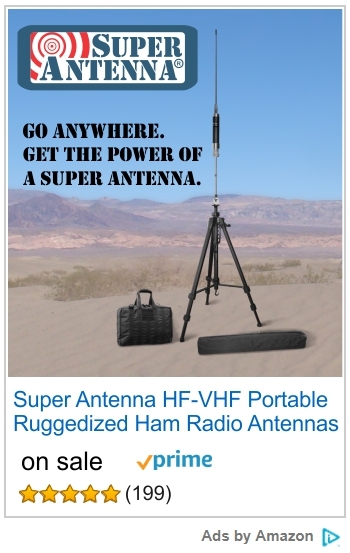 Long range radios are fun, and if you need to reach outside your area, may be your only option. Buy stuff on eBay. Hams are very helpful. The license does require some study, but is not difficult, and it’s cheap. $6.30 for ten years. One more thing. For short range coms, a repeater is very handy to extend range. Mmost are club owned and placed very high for excellent receive and to retransmit your signal. A cheap low power hand-held, working through a repeater can cover a huge area. Finally, most antennas are vertical orientation. For simplex radio to radio communication without a repeater station to re-transmit your signal, a horizontal antenna works better in deep valleys, provided you have an amplifier to boost your send and receive signal. Personally, i like mobile radios for use in home as well as in the car. Set up a new radio at home, and learn the manual while at a stationary base. Hand-helds are obviously nice when you don’t have a vehicle. So you can see it is a complex subject.